BURNABY — For over a half century, it’s been the topic of whispers, rumours and maybes. On Tuesday, however, generations of fiction turned to fact. 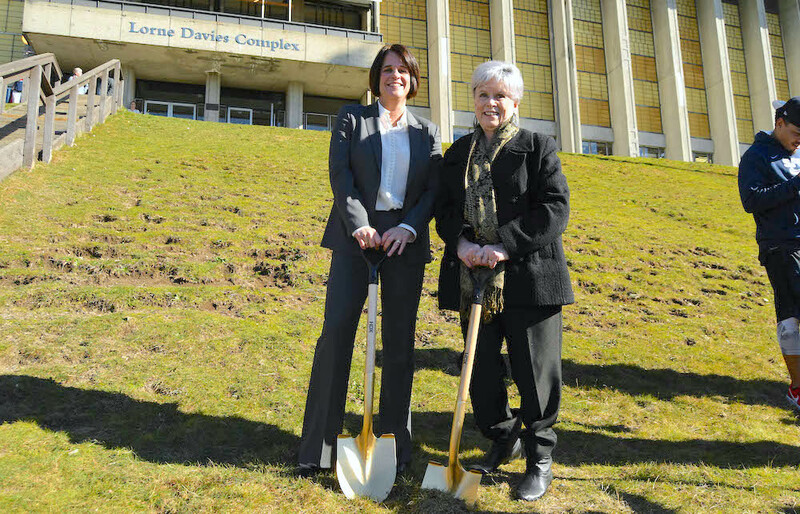 Simon Fraser’s historic Terry Fox Field is finally going to become the true heart-and-soul hub of the university’s Burnaby Mountain campus after a groundbreaking ceremony signalled the official beginning of a $20-million covered grandstand stadium project which is being touted for completion in August of 2020. *Seating for 1,800-plus, the majority of which will be covered. *Accessible concourse, seating and washroom facilities. *Broadcast and media facilities, as well as VIP and sponsor boxes. Yet on a day filled with brilliant sunshine and blues skies, the kind of day which the athletic program’s late, great founder Lorne Davies would have likely referred to as a day in which Clan athletics could see into forever, all of those whispers, rumours and maybes were laid to rest. 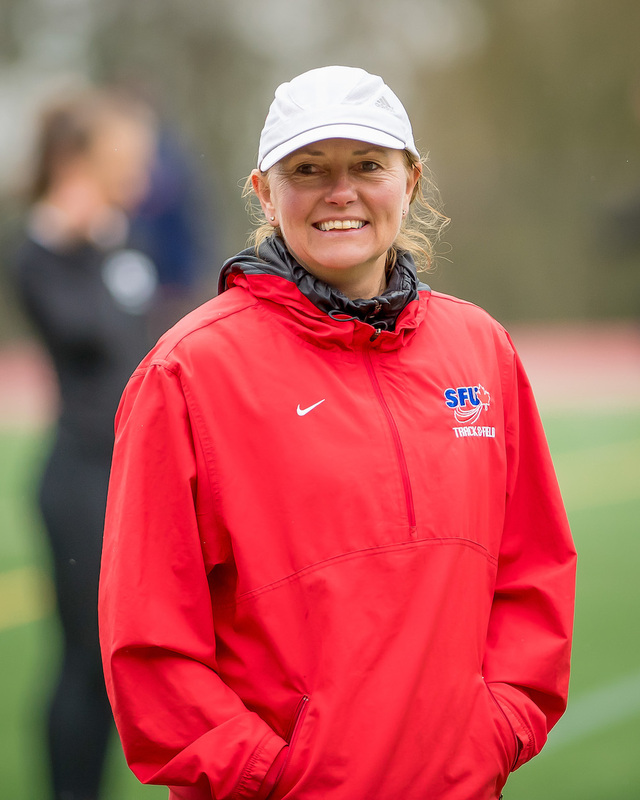 “It’s a game-changer and we’re so excited,” said Simon Fraser athletic director Theresa Hanson. “It’s been a lot of heavy lifting by our president (Andrew Petter), our student society and all of the different departments on campus. Glen Orris doesn’t want to give away his age (69 or 70), but he informs that he was all of 17 when he arrived on the fledgling campus to join the school’s second-ever football team back in the summer of 1966. Instead, the years became decades and the probability of a stadium the stuff of myths. Entire generations of fans tested their grit alongside the student-athletes competing in football, soccer and track, huddled on the grass berm to brave the winds, the rain, the bitter cold and a fast-rolling fog as thick as pea soup. Yet with all of that, was it just folly to dream of the creature comforts of a covered stadium grandstand? Your trusted agent, in fact, reported back in 1991 that SFU had sought provincial, municipal and private funds to construct a 2,000-seat fully-domed field house for football and soccer, a project SFU said came with a $7-million price tag. Like all the rest, it never got past the artist’s renditions. 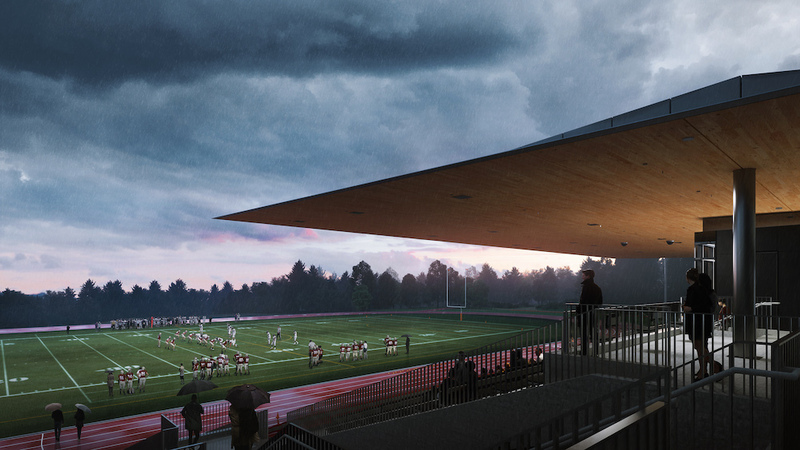 And while Clan football has spent much of its time playing off campus with covered seating at Burnaby’s Swangard Stadium, the recent move to bring its games back up the hill to better engage the campus community was the surest sign that the heart of the project had never completely stopped beating. Yet ask the coaches who have enjoyed extended runs with Clan varsity teams, and the part about the folklore is not far off base. Hanson applauded the school’s vision, and the efforts of the Simon Fraser Student Society, which is contributing $10 million to the project, one which will also service the needs of the school’s recreation programs, as well as play host to a number of other non-athletic events each school year. She also felt that the stadium project, in concert with so many other initiatives currently underway atop the hill, signal “a new era” at Simon Fraser. 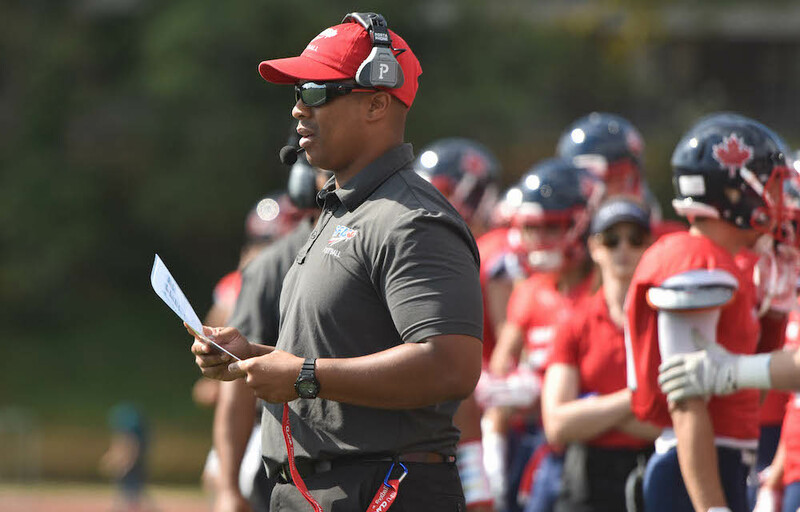 For those SFU varsity programs whose seasons involve training and playing at Terry Fox Field, there is delight in the fact that short-term sacrifice will be rewarded with massive upside potential for their sports, their athletes and their fan bases. Clan athletics confirmed with Varsity Letters that all four of its home GNAC games this season will be played at Burnaby’s Swangard Stadium. Ford will take that trade-off any day. In fact he’s already framing it as a positive. 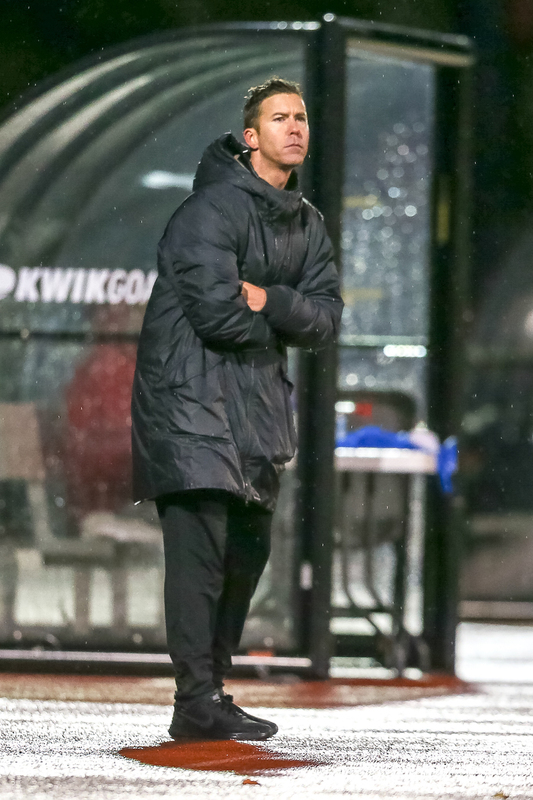 Men’s head soccer coach Schneider, whose team held the No. 1 overall ranking in all of NCAA Div. 2 for much of last season, was especially happy that the program’s supporters would gain some much-needed creature comforts for all of the loyalty they have shown. 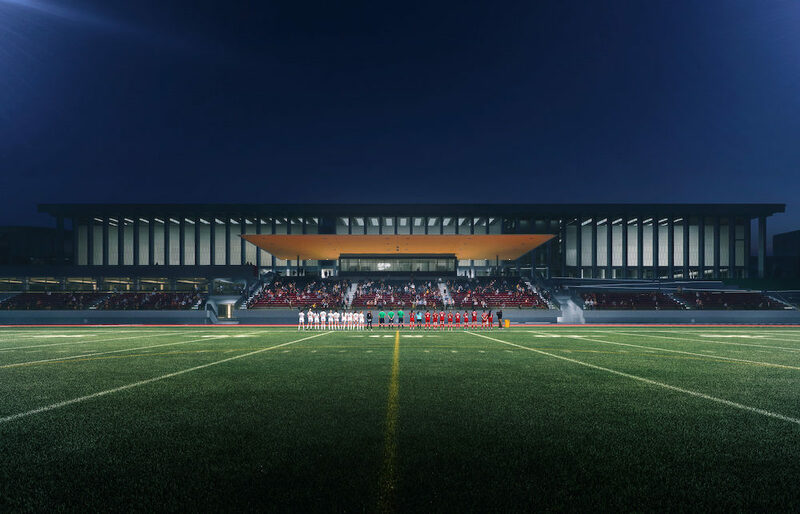 Simon Fraser athletics officials said Tuesday that the men’s and women’s soccer programs will play all of their home games on Terry Fox Field through the duration of stadium construction. The Clan’s track and field program, according to its head coach and former Olympian Brit Townsend, will have facilities rivalling the sport’s best programs. Townsend also hoped the covered grandstand would allow fans of the sport and of the Clan to better enjoy the entire multi-event atmosphere that comes with a nice seat, perhaps a pair of binoculars, and a full card of track and field events. With a completion date of August, 2020, track and field will be the most affected by the stadium project with two full outdoor seasons away from Fox Field. Townsend confirmed that the home portions of the 2019 outdoor campaign, including the April 7 Emilie Mondor Memorial Invitational, would be held at South Surrey Athletic Park. Construction had originally been slated for January, thus putting the 18-month project on line for a July 2020 opening. Now, almost three months behind that original start date, fingers are being crossed that the August 2020 deadline can be met for the start of the fall sports season. Especially for football. Hanson seemed to welcome the challenge of a very tight timeline. Of course the big ticket isn’t a football game, a soccer game or a track meet. Instead, it’s the legacy the stadium project delivers to a campus which has never let a lack of outdoor creature comforts quell its pride in supporting first the NAIA’s only non-U.S. team, and then the NCAA’s only non-U.S. team. That will be fifty-five years after Lorne Davies and the Simon Fraser Clan first trod on the expanse of Burnaby Mountain soil today known as Terry Fox Field. Stadium or no stadium, Simon Fraser student-athletes and their loyal fans were always going to fight the good fight. You can say, however, that Tuesday’s news turned their half-century home into a real Home, Sweet Home.